Everything about this premium boot is striking. Crafted by hand from the finest ‘Mizuno K-Leather, the Rebula 2 V1 Japan adds a touch of luxury to the beautiful game and a precise touch to your game thanks to an innovative new CT Frame in the forefoot area, for a barefoot feeling that makes for more controlled, intelligent play. A dual-density outsole maximises traction and acceleration, whilst a stretchable mesh wraps around the foot for a superior secure fit. 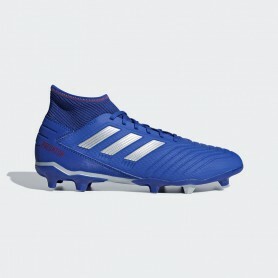 For such a comfortable boot, the Rebula 2 V1 makes life very uncomfortable for opponents.. Crafted in Japan.